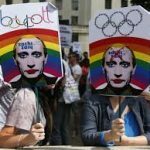 With so much talk about whether or not people are going to boycott the 2014 Winter Olympics and whether or not there are going to protests during the games, many are still curious to know what the actual laws entail. 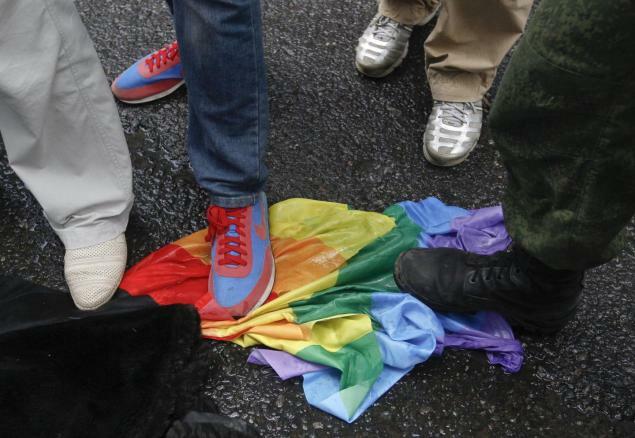 So, what are the anti-gay laws in Russia? 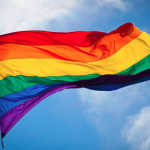 Russian President Vladimir Putin signed a bill on June 30, 2013 that bans the “propaganda of nontraditional sexual relations to minors.” To most people around the world, this recent bill is far too broad, with some even viewing it as a poor attempt to prosecute anyone supporting any sort of “homosexual” activities. The laws get even more confusing and ambiguous when taking a look at the differences in penalties between whether you’re a Russian citizen or an alien to the country. 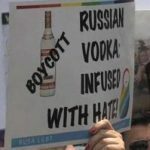 If you’re Russian, you can be fined anywhere between 40,000 to 200,000 rubles which converts to $1,200 to $1 million depending on whether you are a using homosexual propaganda in public, in the media or internet, or if you’re an organization or organization leader. 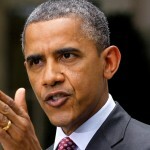 If you’re an alien, you may be subjected to anywhere between $120 – $3,000 and can serve up to 15 days in a Russian jail.